A new Gallup poll shows the uninsured rate at 12.9 percent as of the fourth quarter of 2014, a fall from the 16.3 percent rate that America was experiencing prior to the passage of the Affordable Care Act. – The majority (60 percent) of the newly insured are actually on Medicaid. – Medicaid is hardly equivalent to private insurance. It reimburses doctors at much lower rates than private insurance, so doctors limit the amount of Medicaid patients that they will take. This reduces Medicaid enrollees’ access to care. 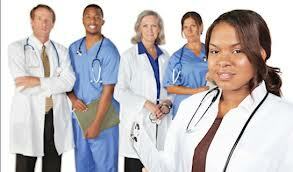 – According to a Health Affairs study, just 69 percent of doctors accept Medicaid patients. – For Medicaid patients who are accepted, they typically have to wait 42 days to see a doctor — twice the wait that a privately insured patient would have.